Radio Televizioni Shqiptar (English: Albanian Radio and Television – RTSH) is the public broadcaster of Albania, founded in 1938 in Tirana. RTSH runs two analogue television stations RTSH 1 and RTSH 2 (formerly known as TVSH and TVSH 2, standing for Televizioni Shqiptar), It runs 2 DVB-T2 multiplexers, one national with the RTSH channels and the second one for local channels. There are 12 TV channels in the first multiplexer and 5 radio channels. RTSH also runs a Satellite Multiplexer with 6 channels, RTSH 1 is the flagship generalist channel. RTSH 2 is dedicated niche communities, including cultural and ethnic minorities, broadcasting news editions in Greek, Montenegrin and Aromanian. RTSH 3, formerly known as RTSH Sat, is dedicated to Albanians living abroad. 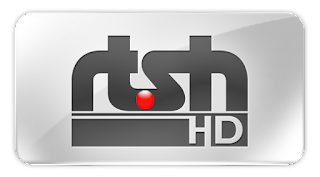 RTSH also has dedicated channels, for news (RTSH-24), sports, musics, children, etc. In addition, four regional radio and TV stations serve local areas in Gjirokastër, Korçë, Kukës, and Shkodër. The international radio service broadcasts radio programmes in Albanian and seven other languages via Internet Radio, Radio on the Satellite and on OTT with an App for both iOS and Android. Medium wave (AM) and short wave broadcasts were switched off in 2017. (SW).The international television service via satellite RTSH 3 (former TVSH Sat) was launched in 1993 and is aimed at Albanian-speaking communities in Kosovo, Serbia, Macedonia, Montenegro, and northern Greece, plus the Albanian diaspora in the rest of Europe. Since 1999, RTSH has been a member of the European Broadcasting Union. RTSH Tani, a mobile app, also offers these channels and more. RTSH is the official organizer of the Albanian Song Festival Festivali i Kenges, the winner of which represents Albania in the Eurovision Song Contest. RTSH is funded by a combination of commercial advertising, an annual licence fee of US$12.00 and grant-in-aid from the Albanian government.